For those of you looking to work as an electrician, doing one of the many electrician apprenticeships on offer is an excellent way to start your career. Learning the skills necessary in order to work for a company or work independently requires a great deal of time and dedication. There are many advantages to working in the IT sector. Even with the current economic downturn there is a strong demand for many IT functions at local and international firms. There is a very wide range of IT jobs available so it is necessary to do some homework and confirm exactly which area of IT would be best for you. Employment in South Africa as well as in the rest of the world, is not what it used to be. Not only are times tough but more and more people are either unemployed or looking for alternative ways to earn an income. Serving others through teaching is one of the most meaningful ways to contribute to your community. If you are interested in becoming a qualified educator here are some things you should know. YoungPeople@Work (Reg nr: NPC - 2012/210099/08) is a new generation organisation for young people by young people whose vision is about young people engaged in productive work to enhance economic, social, cultural and spiritual development. From 25 - 26 January 2013 YoungPeople@Work will be hosting a Basic Office Admin & Bookkeeping Course, free of charged to the unemployed, at the Bishop Lavis Library in Cape Town. Current jobseekers are faced with some tough times ahead, according to the November 2012 CareerJunction Index. Employment is waning in South Africa, with some industries taking a harder knock than others. The study revealed that the pool of South African job seekers had grown by more than 15% at the time of the study, but there was a mere 2% increase in available jobs. According to estimates, only four out of every ten job-seeking matriculants will find employment in 2013. 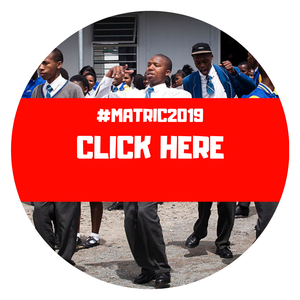 Students who passed their final exams but didn't achieve high marks in Mathematics and Physical Sciences are able to vastly improve their grades through the SciMathUS (Science and Mathematics at Stellenbosch University) Bridging Programme. Do you know what employers look for when deciding to hire you? Below are some of the areas that inform employers' decisions when hiring someone. Over the last few decades the workplace has undergone both subtle and radical changes. From technological advances to cultural diversity and the advent of Generation Y, the career landscape has changed significantly over the years. This is why it is so important to be able to stay relevant in the modern workforce, not only by understanding how things have changed and why, but also by adapting your own professional skill set to these changes. The job market has always been an evolving and changing market, however these days the change is rapid. Today’s jobs landscape is all about entrepreneurship, self-employment and ingenuity in a world where the old-fashioned job for life is in decline.